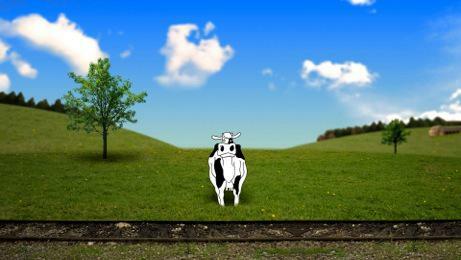 V is a cow who likes grazing the grass along the railroad. When a train passes, her dress tears and spots disappear. She finds herself naked and grazes again, her dress is printed by all that she eats, drinks or touches her.